Special events require special attire. As an event becomes more formal, the dress code generally becomes more strict, rising from semi-formal and cocktail attire to black tie or even white-tie dress. Men’s dress rules are fairly straightforward, but women’s attire can be more variable (and more fun). With freedom, however, comes uncertainty. How Do You Identify an Evening Dress? An evening dress, sometimes called an evening gown, simply refers to a more formal dress worn to events which take place around or after dinnertime. Unlike cocktail dresses, evening dresses are often characterized by longer skirts; tea length, ballerina length, and full length are common. Evening gowns also feature the most luxurious fabrics, like chiffon, velvet, satin, silk, and organza. Current popular styles include cuts like the mermaid, A-line, empire, sheath, and trumpet dress. And if you're looking for quality, comfort, and contemporary evening gown design, Jovani evening dresses at Effie's should be at the top of your list. What Sets Jovani Evening Dresses Apart? Jovani started as a small operation, designing and producing only 15 styles for select boutiques. Now, though still a family-owned company, Jovani has blossomed into a premier brand for evening gowns, wedding dresses, and prom dresses. 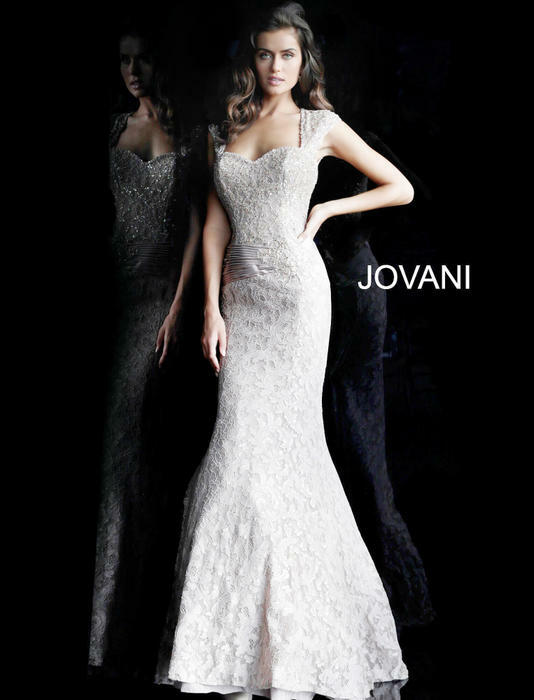 With celebrities like Carrie Underwood, Selena Gomez, and Ariana Grande on the list of Jovani wearers, you can trust that Jovani evening dresses are some of the best. No matter the event, you can count on Jovani evening dresses to give you the gorgeous silhouette you've been dreaming of without sacrificing comfort or quality. Luckily, Effie’s has a huge selection of Jovani styles to choose from! Whether you’re looking for the most traditional and regal ball gown you can find, or hoping for a more modern take on the evening gown, Effie’s has the dress for you.